A tragic case report involving a fatal helping of leftover spaghetti is regaining attention after a doctor featured the 2008 death on his popular YouTube channel. 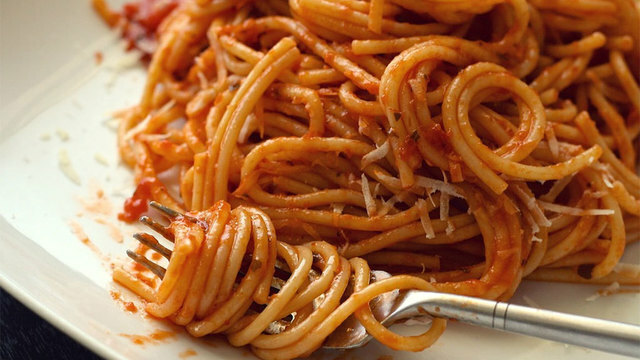 According to the initial report published in the Journal of Clinical Microbiology, a student in Belgium identified as “A.J.,” became sick after eating spaghetti and tomato sauce that had been prepared five days earlier. The report’s authors said the spaghetti had been stored at room temperature before the 20-year-old used the microwave to warm it up. A post-mortem examination determined that he had died at 4 a.m., and significant B. cereus, a known food-poisoning organism, were found in samples of the leftover pasta. In a YouTube clip viewed over 1.8 million times, Dr. Bernard, who identifies himself as a licensed provider trained and based in the U.S., explained that the spoiled pasta had shut down A.J.’s liver. “Typically, food poisoning just causes stomach inflammation, nausea, vomiting and diarrhea, it doesn’t typically cause acute liver failure, and even worse, we can’t find out which bacteria is causing the problem because culturing it would take days — days A.J. doesn’t have because his liver is quickly shutting down,” Bernard said. Bernard said it’s important to note that A.J.’s death is not a “typical” food poisoning case, although other fatalities have been documented before so it’s important to be wary of food left out without refrigeration, or anything that smells odd. The report’s authors reached a similar conclusion.